Showed very little in two starts this year, and his best efforts have come up to a distance of 3m1f, and this looks a bit too much. Was pulled up behind Beware The Bear at Cheltenham, and needs to fall down the handicap a bit more to be in contention. Yard made a sharp turn to form at Aintree last week, and this ten-year-old will hope for more of the same. Another benefitting from a recent wind-op, having finished a game second in the Ultima at the Cheltenham Festival. Went to Aintree last week and was well backed for the English National - only to fall at the first fence. These colours have a great record in Nationals, and this nine-year-old will look to follow in the hoof-prints of dual winner Vicente, who likewise fell in the Liverpool showpiece a couple of years ago only to land the Scottish equivalent a couple of weeks later. Will look to better his third in this twelve months ago, and remains of major interest in long-distance handicaps such as these. Youngest horse in the field certainly looks an individual on the up, despite narrowly missing out on landing a hat-trick of wins at Kelso three weeks ago. He did nonetheless complete a three-timer having scored on the first leg at Ascot back in January, with wins over useful rivals Black Corton and Captain Redbeard subsequently in Scotland. This trip does see him head into unknown territory, but it is hard to stop horses sometimes on a roll. Knocked on the door with a couple of decent efforts this term over fences, having warmed the legs up at the beginning of the season over hurdles at Newbury. Stayed on to finish a worthy third in the Ladbrokes Trophy at the Berkshire venue when many horses disappointed, and was only seven lengths down on Welsh Grand National winner Elegant Escape. Also placed at Donny in the Sky Bet Chase over 3m2f, and heading upwards in trip certainly looks well worth a go. Two 3m2f wins at Newbury suggests he will be very well suited by going back up in trip, and a similar effort to what he gave in the Classic Chase at Warwick will see him in with a positive chance. Three lengths behind Crosspark that day, he does have work to do on the basis of his National trial performance at Haydock, so does appear to the eye as a bit hit and miss. Winner in the veteran's chase series last time out, and would be suited by a spot of some course watering on the day. Won on this card twelve months ago when getting the better of Dingo Dollar who also goes here in a Class Two Championship Handicap Chase. Been competing at high levels since but only managed tenth in the Becher at Aintree when last sighted in Britain. Not proven beyond three-miles but could be an interesting contender, given the market interest behind him already for this event. Career best victory last time out when relishing the 4m distance in the Eider Chase at Newcastle, which saw him prevail just ahead of Mysteree who goes here as well. Should have shaken off the effects of that race given it was two months ago now, and has a nice weight to go off, with an in-form jockey in the saddle. Good performances this year should see him go close. Cogry has been off the track for three months since only managing to beat two home in the Classic Chase at Warwick, and his best form has been portrayed at Cheltenham. He won a Grade Three back in December at Prestbury after making all that day, and comes back to Ayr where he has shown mixed form on Scottish Grand National day. The ten-year-old was pulled up in this twelve months ago in this, but ran a cracker to finish a neck-second to Vicente back in 2017. 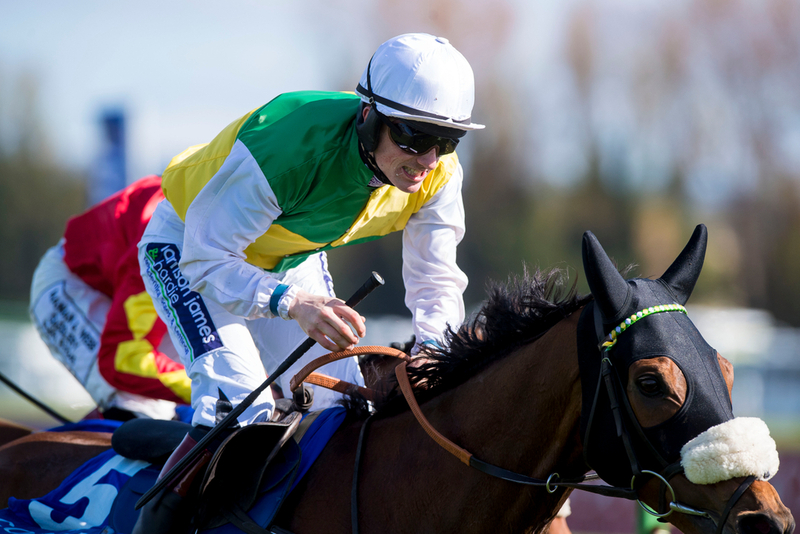 Graeme McPherson puts the visor on the eight-year-old after his early unseat in the National Hunt Chase over four-miles at the Cheltenham Festival. Completely connections fancy him over the maximum trip, but requires significant improvement despite landing a match-up at Market Rasen back in February. Does often hit a flat spot. Saved his best work until last when flying home into fourth in the Ultima Handicap Chase at the Cheltenham Festival. Last win was at a Scottish venue at Kelso in February last year, and is very versatile when it comes to the ground. Trainer and jockey combined when winning the 2017 Grand National at Aintree, and will be in search of another headline-making day. Big chance on a new trip. Smart winner at Haydock back in November, but that's as best as it has been since then for the nine-year-old chestnut. Finished a decent second to Morney Wing in the London National at Sandown on soft ground on Tingle Creek day. Creditable fifth in the Peter Chase and has improved as a whole since going up to 3m4f/3m5f - his most recent unseat cannot really be used against him. Impulsive Star's two attempts at four-miles have failed both at Cheltenham, but it is hard to see past him given the evidence of his impressive display in the east-midlands back in January. The nine-year-old won the 3m5f Classic Chase at Warwick on a good surface, and appeared to be flashing past the line. Perhaps the Cheltenham contours do not suit him like it does not many, and Ayr's flatter track could be a big positive for him. Three-pound claim once again could edge him into an advantage. Another contender from the NTD yard, Arthur's Gift was last seen suffering massively in the heavy conditions in the Midlands National at Uttoxeter. Can be excused for his efforts that day, having won a nice race in good style at Carlisle on the start before. Has good form with Siruh Du Lac earlier in the season - who subsequently won at the Cheltenham Festival, and would be an each-way player if back on song. Needs to add more to his game though. Very lightly raced in the last couple of years, but ran cracker for a long way on his return in the Glenfarcas Chase at Cheltenham where he was prominent for much of the way. Returns to original fences on what will be his second run after a long layoff, yet his top two RPRs were over cross-country courses. Game front-runner who will give his all, but may not be enough here. Peter Niven's decision to move Brian Boranha has raised one or two eyebrows but could prove interesting, if building on his 3m5f win at Sedgefield earlier in the season. Has dropped in trip twice since; both attempts at Doncaster in useful contests, and is another with form with Dingo Dollar who seems to be the epicentre here. Big career best is required to make the scene. Been a busy boy this season, and took the risk to win Leg 4 of the Veterans Chase series at Carlisle a month ago. Career high mark at the minute of 135 so this first crack at a marathon trip should be respected and see him hold some appeal. Has good-ground winning form on the course at hand, when winning back in November, and just to add to it, has won on heavy at the Scottish National-venue too. Arrives bidding for a hat-trick of wins after striking at Catterick and Stratford. Won over 2m6f and 3m1f back in November, and a lot suggests strength in stamina, as well as the chance to reach his full potential. Hemmings with another runner, and this could be the seven-year-old's big chance to light up the big stage. Fell at this venue around this time last year on good ground, but the only error to correct. Just like the latter, Childswell comes back to Scotland to seek a memorable hat-trick. Victories this side of the new year at Doncaster and at Kelso in small fields has shown some of the good form of old. Looking down the form line, this ten-year-old does like competing with few contenders around him, so this big National field may come as a bit of a shock. Career high mark now, but won in great style last time on Town Moor and the rise may not stop him getting involved. First and second in two Eiders over 4m in the north of the UK, including on his latest start after a very poor spell in front of goal. Only seems to bring his best to certain fixtures, and this may not be one of them as it is hard to judge. Is a course winner from 2014, but his best days could be well and truly behind him. Further flies the flag for the youth in this contest, and missed out on the three-timer at Doncaster last time out. Won twice at Ludlow in December before that lesser show latest, but looks a big old price and clearly not well fancied for this. Distance and the rise in class is the question. Fine old servant who got a deserved victory at Ascot on what was their final National Hunt card of the season a couple of Sunday's ago. Has been in fine form of late and merited a lower mark after struggling with high-end weights for a while after a couple of high-profile victories saw him lift-off very quickly. Two attempts until now in big 3m5f handicaps did seem to find him wanting for stamina. Would be a masterclass if he could win again. Paddy Brennan rides the D&D Armstrong-owned Acdc, who was third to Crosshue Boy over three-miles at this meeting last year. Won on his return at Wetherby, before finishing a disappointing fourth of six at this venue in November. Underwent a wind op after the Many Clouds Chase at Aintree, and returned to finish last of four but not disgraced behind Blue Flight in a Listed race at Kelso latest. Steps up the distance ladder now. This seven-year-old cannot be discounted whatsoever after his victory in the Highland National at Perth last April over 3m6f, and he is well in his season now. Was a good winner over last year's winner Joe Farrell at Newbury on his latest appearance three weeks ago, and will arrive with his confidence booming. Just the eight career runs for this eight-year-old, and struck over 3m3f here latest. Looks to be improving all the time, and has been put up 12lb as a result of that most recent performance. Also rode out a comfortable-enough winner here back in November, and must go into consideration for all sat near the foot of the weights. Been resurgent this season, and arrives as a big outsider priced around 50/1 for The Steeple Chaser owners, which may come as a surprise given his form figures. However, he is 4lb outside the handicap and to win this demands plenty more than what he is used to. Won the London National at Sandown back in December over Red Infantry, and would prefer the slog. Hard to completely rule out, but plenty of others preferred. Doing Fine has not been doing that for a while, but has had a wind-op to rejig a few things since his latest start at Cheltenham - when well behind Cogry. Ran a decent race when finishing 4th last year at 12/1 and plugged on well under the now-retired Noel Fehily. Sean Bowen comes in for the ride now off 1lb higher than last year's outing. Second British run saw him finish second to Rathlin Rose at Ascot over three miles, in what was a memorable 1-2 for owner Fergus Wilson. Was previously in France, and we perhaps have not seen the best of him yet. 5lb out the handicap, and it looks as though he will find this difficult. Best watched, but may fall off the back of the telly.